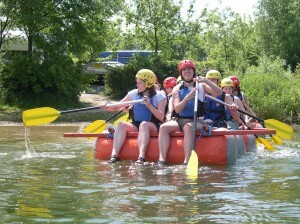 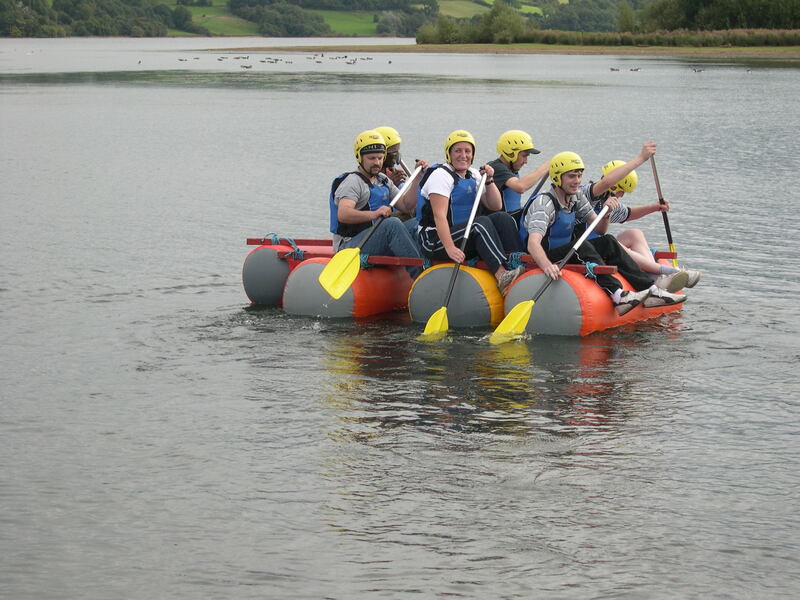 Raft Building with Blue Mountain Activities combines problem solving with team building skills, together with a journey across the water, through picturesque scenery in the Brecon Beacons. 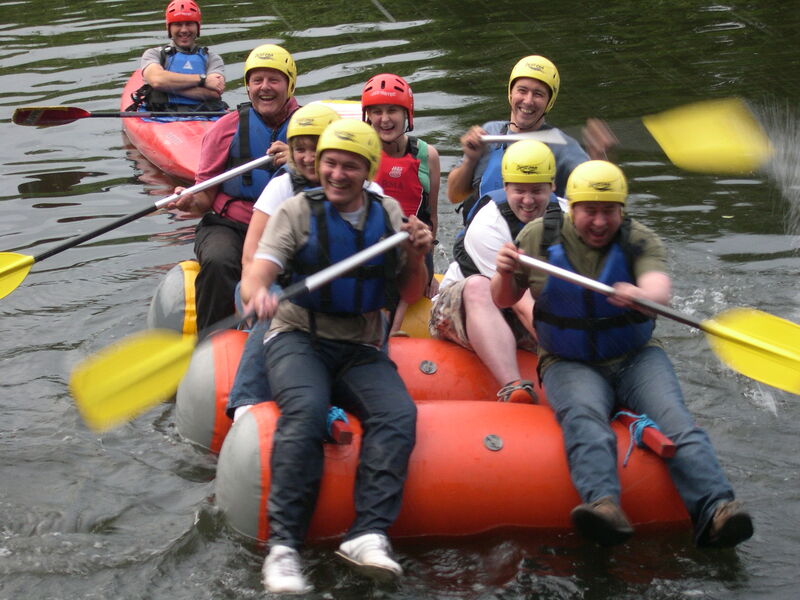 Great fun for schools, youth groups, families or adult groups, special events – Birthdays, anniversaries, Stag/Hen groups and corporate groups. Your team are to build a raft from a variety of wooden spars, barrels and rope and then having reached a level of seaworthiness to complete a journey across the water, with a variety of fun, water based challenges along the way – tremendous fun! 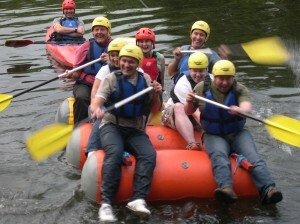 The Brecon Beacons and surrounding area offer varied venues for Raft Building set in picturesque locations in Glasbury On Wye, Brecon, Llangorse, Merthyr Tydful and at Symmonds Yat in the Monmouth areas.